Its potential for lowering IT costs makes cloud computing a major force for both IT vendors and users; it is expected to gain momentum rapidly with the launch of Office Web Apps later this year. 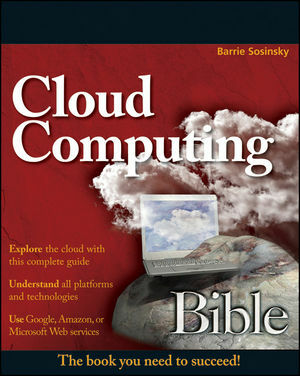 Because cloud computing involves various technologies, protocols, platforms, and infrastructure elements, this comprehensive reference is just what you need if you?ll be using or implementing cloud computing. Barrie Sosinsky is a veteran computer book writer specializing in network systems, databases, design, development, and testing. Among his 35 technical books have been Wiley's Networking Bible and many others on operating systems, Web topics, storage, and application software. He has written nearly 500 articles for computer magazines and Web sites.